Despite living with several chronic health conditions, Mary Jane Maestas has spent a considerable amount of her time traveling to D.C., from her home in Delta, Colo. First, to protest Trump’s attempt to repeal the Affordable Care Act, then to fight the administration’s attacks on immigrants, and then again to protest Brett Kavanaugh’s confirmation to the Supreme Court. Throughout these two years, the fierce activist has been arrested several times for civil disobedience — which hasn’t scared her off one bit. 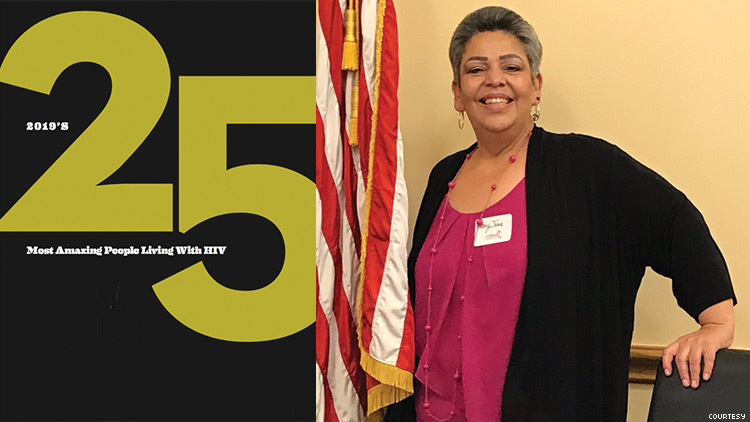 The feisty 52-year-old Latina says these issues, along with HIV, are all connected more than we realize in this country, and that focusing on where they intersect is key: “These issues are connected because they affect the most vulnerable of people. The poor, elderly, children, and the sick, which are also the most marginalized and ignored by the powerful, often are without a voice in national politics,” explains Maestas. Though poz folk’s preferences on terminology varies and continues to evolve, Maestas’s statement is an important reminder to be sensitive of everyone’s humanity, and to not chop anyone down.